If you’re in the market to buy or sell a home, you’ve likely come across a “Hot Home” or two while browsing properties on online real estate brokerage website Redfin. The company has a propriety formula that assesses whether a property will go under contract within the first two weeks of being listed, known as the Hot Homes algorithm. Some 500 attributes of each property, including price, property type, neighborhood, and buyer preferences in the area go into determining whether a home will sell quick or fester on the market. It apparently has a 70% success rate, meaning 7/10 listings that are designated as Hot Homes by Redfin actually wind up going under contract during those first two weeks. That being said, there’s no guarantee a Hot Home will actually sell that quickly, or even go under contract. It’s actually possible for a once Hot Home to become, well, less hot, if indicators that once propelled it to hot status suddenly drop off. The opposite is also true – a home not originally deemed hot can heat up in no time at all, though it has to happen within the first two weeks of listing (obviously). Also note that the hot status has varying degrees of hotness, broken down by 5% increments. For example, a Hot Home will have a percentage-based chance of going under contract quickly on the listing page. It may say something like “There’s an 85% chance this home will sell in the next 5 days…,” or something less definitive. It’s also possible that the listing already has an offer review date at which point you have to make your final and best if you want in on it. Any attention is good attention, right? That seems to be true in real estate, assuming it’s nothing negative. 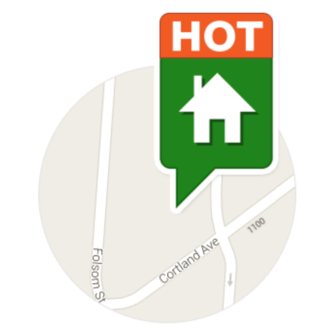 With the Hot Home distinction, your listing gets propelled above the rest of the listings, unless it’s a Redfin-agent listed property. So you’ll want the home to be hot for this reason – more exposure. It’s also a kind of self-fulfilling prophecy because Hot Homes by nature will get more views and probably more interest, simply because they are Hot Homes. That’s probably why the algorithm works so well – Redfin is telling you the property is going to sell quickly, thereby ensuring it sells quickly. The bad news is you can’t manually designate a property as a Hot Home, or ask Redfin to do that for you. That would be cheating. But there are some tips and tricks to increase the odds your listing becomes a Hot Home. While Redfin doesn’t share the contents of their secret sauce, it seems pretty obvious what makes a home HOT. I’m going to go ahead and list these things to make it easier to follow along. 1. List low – a lower asking price will result in the property showing up in more price-filtered search results, which should increase pageviews and interest, increasing chances of hotness. Asking for less than similar comps in the neighborhood will really heat things up! 2. Take quality photos – if the property listing page looks snazzy thanks to professional, clean photos, people will be more likely to click, increasing its chances of becoming hot. 3. Make your best photo the featured image – you get to pick one photo as the lead, so make it a good one. It’s the one everyone will see to determine if it’s worth clicking through to your listing page. Often it’s one interior room of the house that’s exceptionally decorated, not an exterior front-of-the-house snap. 4. Share your listing page – be your own marketer, or at least tell your real estate agent to market the property hard. Include it on social media and wherever else to get those pageviews UP! 5. Favorite the listing – at the same time, get as many people as possible to favorite the listing (friends, family, etc.) on Redfin. My guess is more favorites will lead to a higher probability of hotness. 6. Make sure people can book tours easily – there should be an open house schedule on the listing page with lots of available dates (or at least a very immediate date if you’re throwing just one) to ensure people can sign up for a tour and indicate to Redfin that the property is en fuego! At the end of the day, you don’t need your listing to be a Hot Home in order for it to sell quickly or at an attractive price. But as I mentioned, any little bit of extra exposure helps in the real estate game. 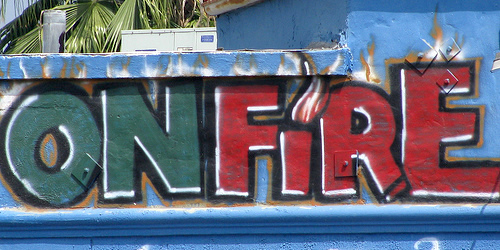 Read more: Don’t list above a key pricing threshold!